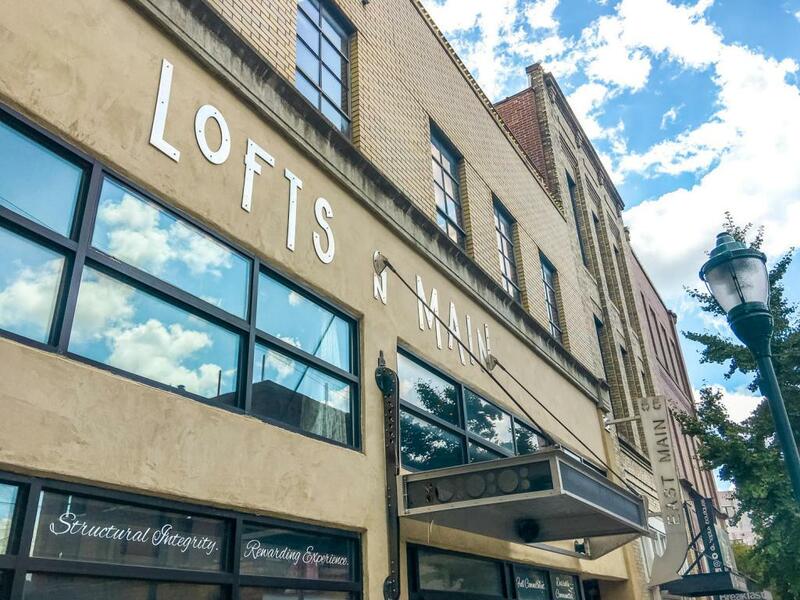 This beautiful loft condo is located in the highly desired Southside in downtown Chattanooga on Main St. From the time you walk in the door you will love how open floor plan of this 2 bedroom/2bath loft is. The exposed brick, original hardwood flooring, and exposed beams give this unique condo that industrial residential look you have been searching for. The kitchen is made for entertaining family and guests with stainless steel appliances and a large center island with a cooktop. Granite covers every countertop in the home and there is an abundant amount of cabinet space as well. There is a guest bedroom on the main level of the condo that has a large amount of closet space. The full guest bathroom with a beautifully tiled shower and custom vanity is also on the mainfloor. There is a gas fireplace on the main floor that is capable of heating the entire condo. Enjoy your scenic views of Main St while sitting in front of your cozy fireplace. As you walk up the suspended stair steps with hand fabricated metal railings you will see that they were designed to not obstruct any views to the outside or downstairs. At the top of the steps there is additional space currently being used as a pool table area but could serve several other purposes as well. The room connects with the gorgeous master bedroom using two walk through doors that are open as well. You will love the stained glass commemorating the Chattanooga Choo Choo that hangs above the doorway along with the double sided fireplace. The master bedroom has a large walk in closet, a huge master bathroom with double vanities, and washer and dryer hook ups. The custom walk in shower is huge with gorgeous custom tile and high end fixtures. The most unique feature of this home is the large deck overlooking Chattanooga and the scenic surrounding area. The deck is over 1000 sq feet of outside living space. This space specifically belongs to the sole owner of this condo. The gorgeous spiral staircase leading up to the rooftop is intriguing and gorgeous. The entire deck space is covered with a pergola offering a fair amount of shade. There is also an outside grilling and dining area as well. Lets not forget about the premier hot tub that is also negotiable. In addition a putting green is also located in the outdoor living space. This condo is truly a must see. Schedule your appointment today before this one is sold! Property is now available for lease for a 3900 deposit and 3900 per month fully finished.